The most common form of canine hereditary bleeding disorders is the von Willebrand disease (vWD). The condition is caused by a quantitative or qualitative deficiency of von Willebrand factor (vWF), which is an essential component of the blood coagulation cascade. A defect of the vWF leads to uncontrolled bleeding upon inquiries or spontaneous. Clinical symptoms of vWD are highly heterogeneous from mild bleeding to severe life-threatening blood loss and may be aggravated by mental or physical stress. Typical signs are: repeated gastrointestinal bleeding with or without diarrhea, epistaxis, bleeding after dental extraction, gingival bleeding, ecchymosis, extended bleeding during heat, lameness due to bleeding inside the joints, excessive bleeding upon nail cutting or docking or postoperative. VWD is divided into three major categories: type 1, type 2 and type 3 as well as diverse subtypes. Type 3 of vWD displays the most severe vWD form. Classical symptoms are a high tendency to severe bleeding after injury, surgery or to spontaneous bleeding. In the past this variant was thought to be uncommon in dogs. 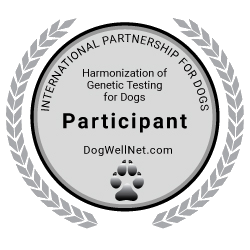 However, a relatively high prevalence has been detected in Scottish Terriers and Shetland Sheepdogs.